DO NOT READ ANY POSTS IN THIS THREAD IF YOU HAVEN'T FINISHED SEASON 2!! Yes, this is a spoiler thread, but just in case anyone wants to look at these as they finish each chapter, I'm going to put each of these in spoiler tags. 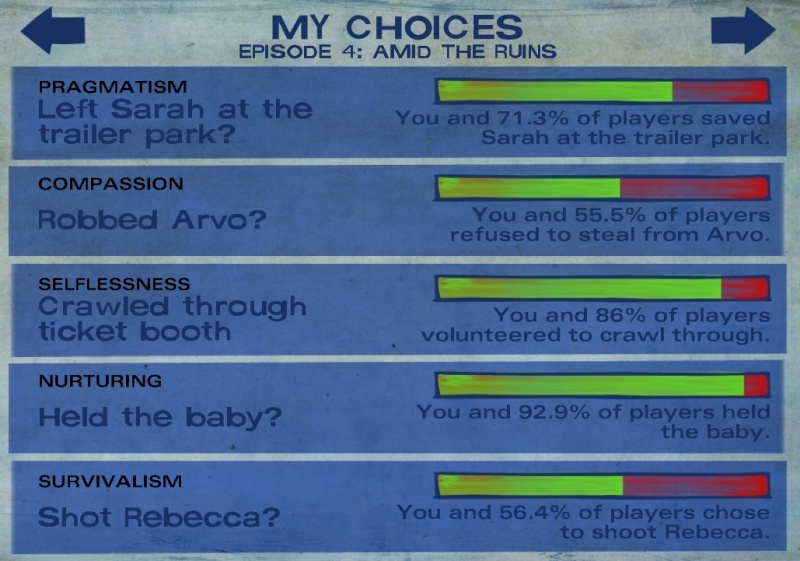 Christa was pregnant in the beginning of Season 2, then we skip to 16 months later, where she's skinny, depressed, and alone with Clem. She lost the baby, obviously, but how? Was it sickness? Lack of food? Taken by zombies? we don't know. Clem *does* say something towards the end of the fifth chapter, so keep an eye out! Ahhhh, thanks. Those thoughts all went thru my head and yet, nothing was said in the story to explain it. 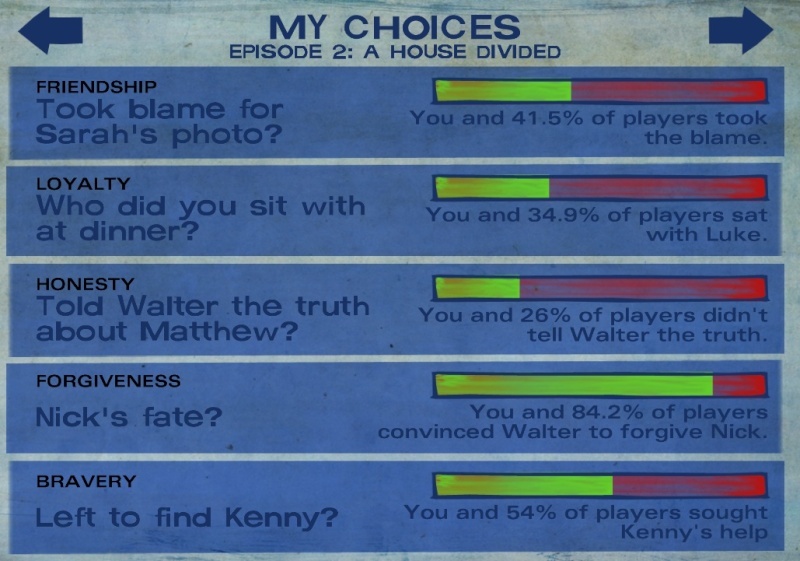 In short I shot Kenny, forgave Jane, and invited the family in. 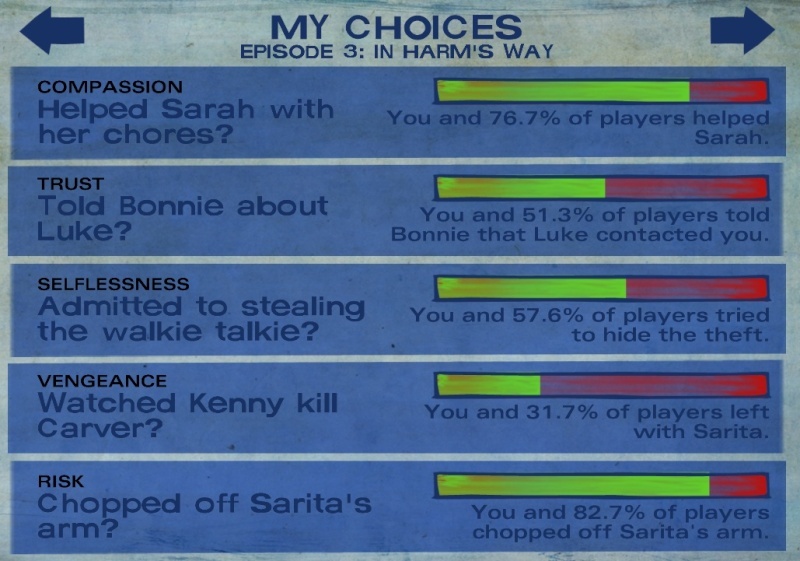 When Kenny was dying and telling me that I made the right choice... I almost started sobbing! What a moving scene! Seeing Lee again... Oh my, I felt so wistful; so very wistful. It was so good to see him again, to talk to him and just hear his voice. Even while I was thinking that it would be a cop-out on the part of the writers to have it all have been a dream, I was still wishing that it was true, that he was still alive. Lee and Clementine were magical together, and the Lee character in particular... I absolutely loved him, and I miss him so much! 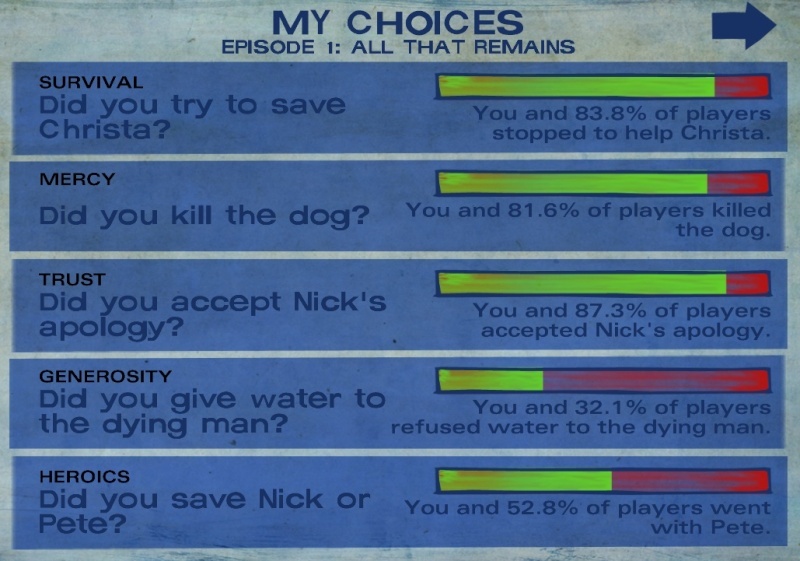 I think Season 1 was much better than Season 2 because of the Clem/Lee relationship. I still really enjoyed Season 2 though. Hopefully Season 3 will not be 1.5 years. 1. 16 months later we see Clem and Christa, and Christa is terribly depressed. Clem says, "Talk to me, Christa!" I think that the baby died not long before that scene. 2. 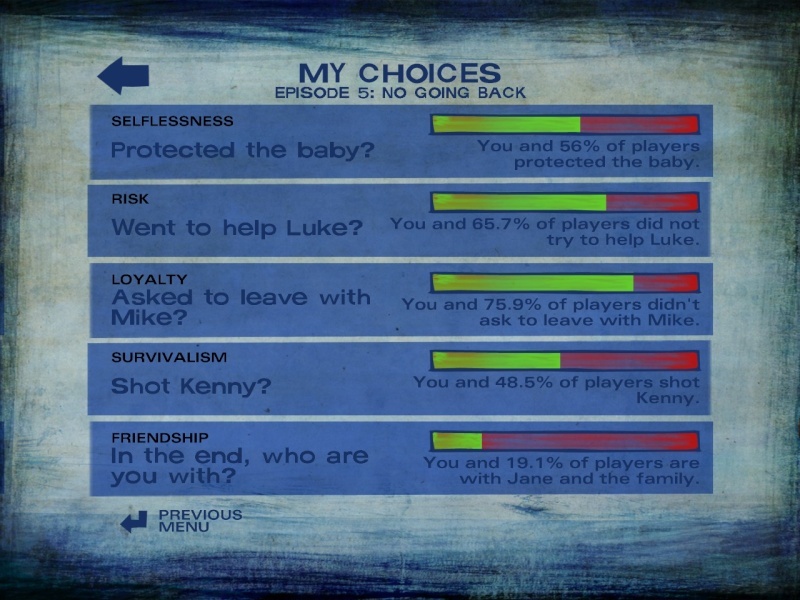 In episode 5, after Luke dies, the group is in the unfinished structure. Kenny's outside working on the truck, and Jane is watching the baby in another room because the rest were being noisy. You may have missed it if you didn't try to make Jane hold the baby. "Like this," Clem says, making motions with her arms. Jane mentions that it looks like Clem's had a lot of practice. This scene tells us that Christa DID have the baby, and that s/he survived long enough that Clem was able to get good at dealing with babies. This reinforces my first point. 3. When Jane shows up without Alvie and Kenny asks where he is, Jane's mannerisms suggest that the baby didn't make it. While Kenny runs out the door, Clem says (paraphrasing) "Oh no, not again!" This implies that she's remembering the same happening before, again reinforcing my previous points. You are far more observant than I Genki!